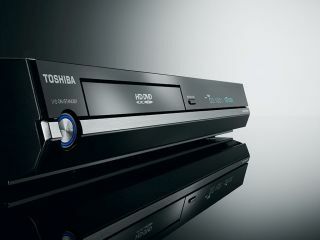 HD DVD overlord, Toshiba, has welcomed Paramount's decision to release its HD movies exclusively on the HD DVD disc format. The deal was announced earlier this week, and sees Paramount and its DreamWorks Animation arm snub the Blu-ray format in favour of getting into bed with HD DVD. "We welcome the announcement from Paramount and DreamWorks Animation SKG," said Yoshihide Fujii, corporate senior vice president and president & CEO of Toshiba's Digital Media Network Company. "It is clearly significant that Paramount, which originally released titles in multiple HD formats, has now made the definitive selection of HD DVD as the sole format for its worldwide releases. "DreamWorks Animation's decision to introduce high-definition releases, and to do so exclusively in the HD DVD format, is also an important milestone for HD DVD. I understand that these decisions reflect Paramount and DreamWorks Animation's understanding of the present value and future potential that HD DVD brings to home entertainment, including cost-effective manufacturability and advanced features." What Toshiba fails to mention is the $150m (£75m) sweetener the HD DVD camp gave to Paramount and DreamWorks to seal the deal.